When Roscoe Jones, a one-time trumpet prodigy, loses his finger, he loses more than his ability to play. Instead of becoming a musician, he becomes the superintendent of the Chicago apartment building where he has lived since birth. Very soon, his life is no longer his own; he fades into the background, plumbing and fixing and toiling for the tenants populating the eleven stories above him. Although they hardly notice him as anything but a working part of the building, he develops a sometimes uncomfortable intimacy with the details of their complicated lives. Every night, in the privacy of his basement quarters, alone with his secret longings, he plays his trumpet. That is until the evening he climbs to the roof to play in public for the first time in fifty years - and the course of his life is irrevocably changed. For some, losses may turn, unexpectedly, to gain. For Roscoe, the relationships he forms with the tenants - two, in particular - justify the amputation of his finger and the forfeiture of his dreams. This is a story about sacrifice and service, longing and love - and the abiding hopefulness of the human heart that connects us all. AWARDS Best Indie General Fiction 2013 (Kirkus Reviews) Gold Medal, Popular Fiction, 2014 Independent Publisher Book Awards (IPPY) Book of the Month, January 2014 (AiA) Silver Medal, Popular Fiction, 2014 eLit Awards. 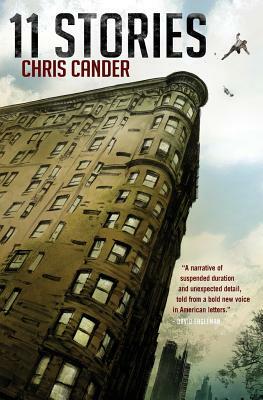 Chris Cander is a storyteller with many outlets: writing novels, children's books, articles, essays, and screenplays, and teaching for Houston-based Writers in the Schools (WITS), which engages children in the pleasure and power of reading and writing. She well knows that the pen is mightier than the sword, but she's willing to wield one of those, too. A former fitness competitor and model, she currently holds a second dan in taekwondo. Chris is a member of of the American Society of Journalists and Authors, Society of Children's Book Writers and Illustrators, the Author's Guild, and MENSA. She lives with her husband and children in Houston, Texas.